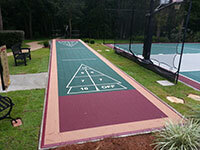 We can handle all elements of the design and installation process. 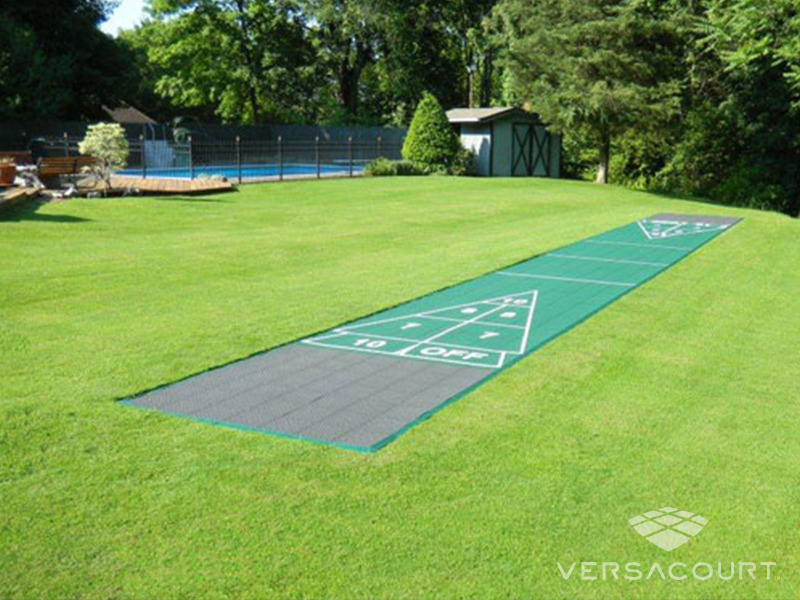 You can choose from 19 standard court sizes in a wide variety of color combinations and we can even personalize your court with custom logos. 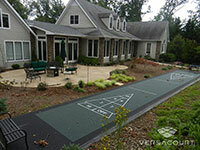 Once the design is complete, our installation team can excavate the land, pour the base and assemble the court tile. 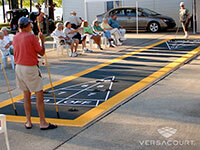 We also offer a wide variety of accessories including cues, discs, scoreboards and wax. 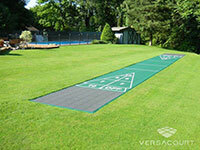 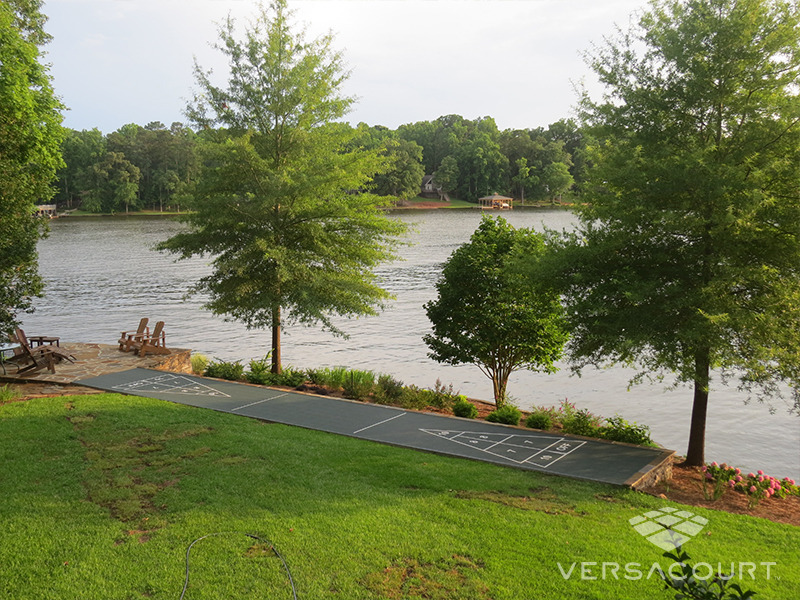 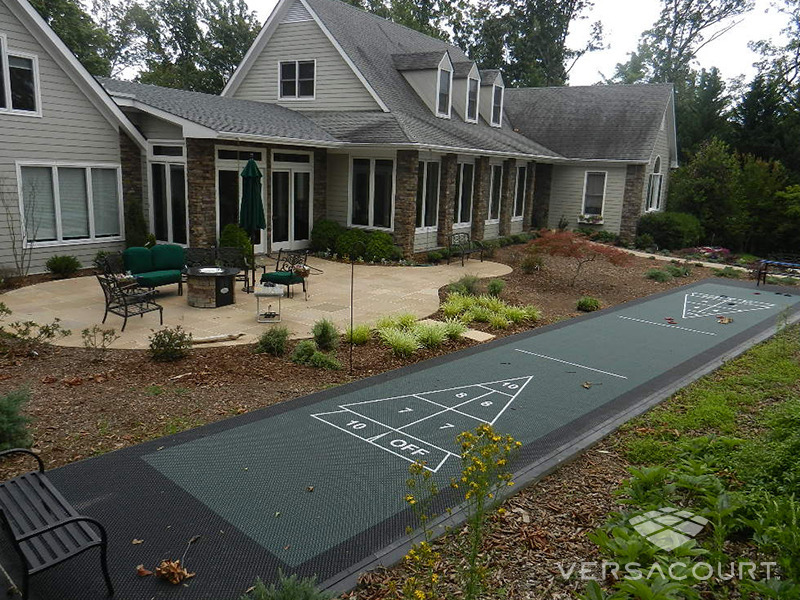 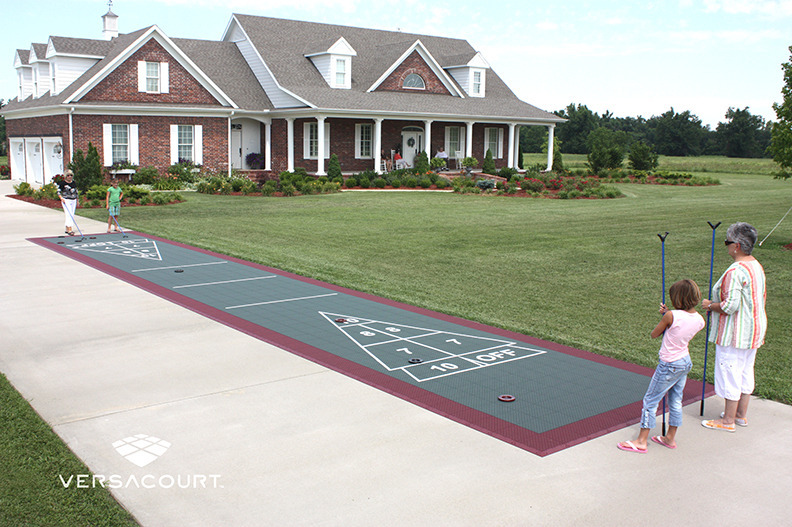 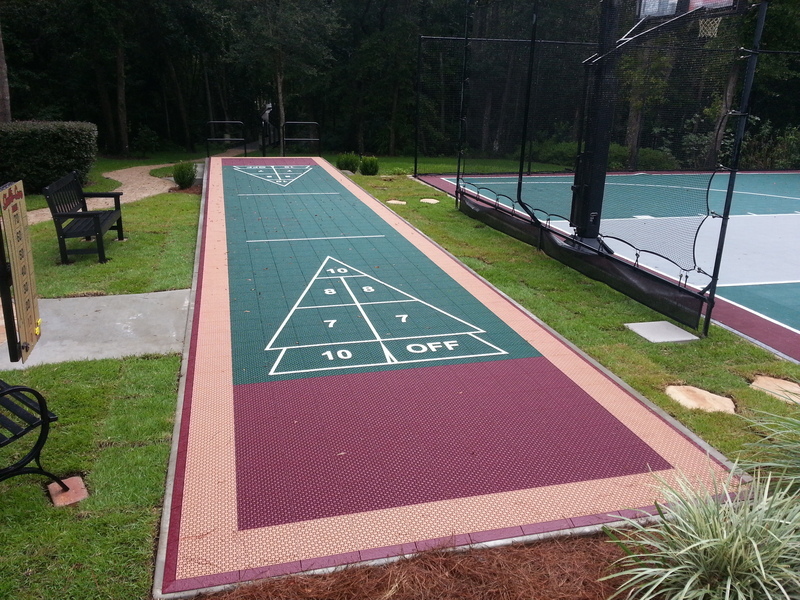 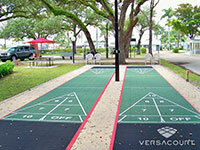 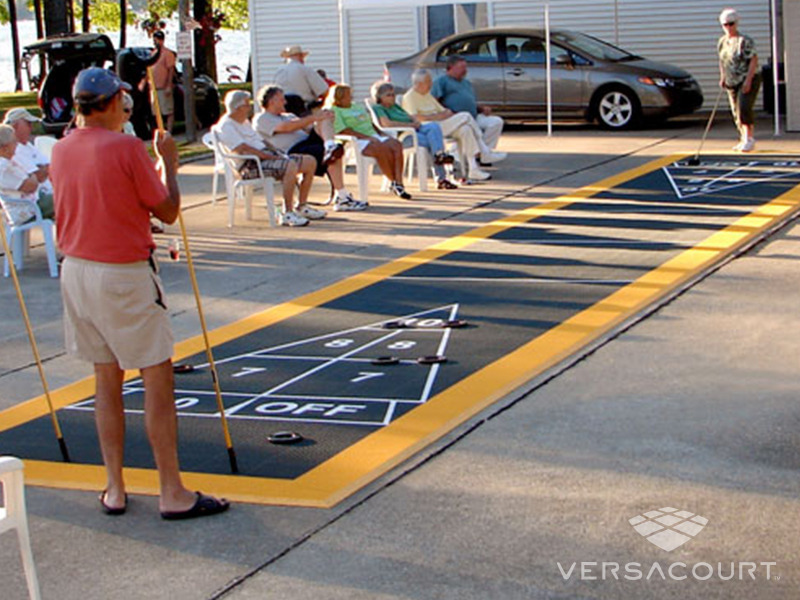 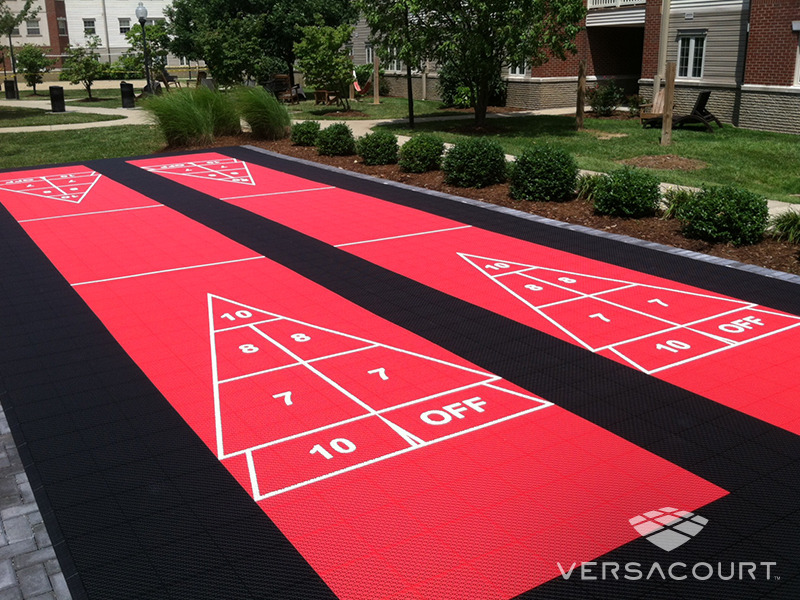 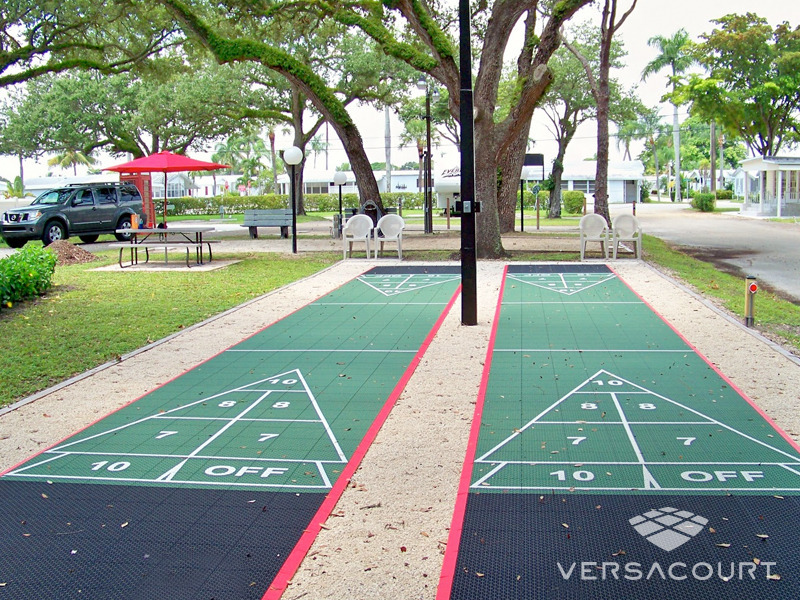 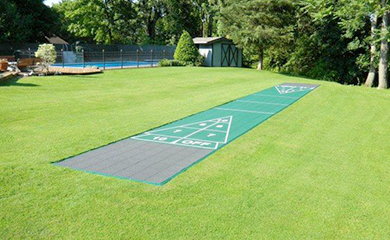 VersaCourt shuffleboard courts can be installed on nearly any flat surface in about 30-45 minutes. For those with flat driveways and extra storage space, it can be ideal game to set up for parties and other gatherings.